While it is none of mine and your business to know their wealth, it is good to just get some inspiration to know who make it to the top of the chart financially. 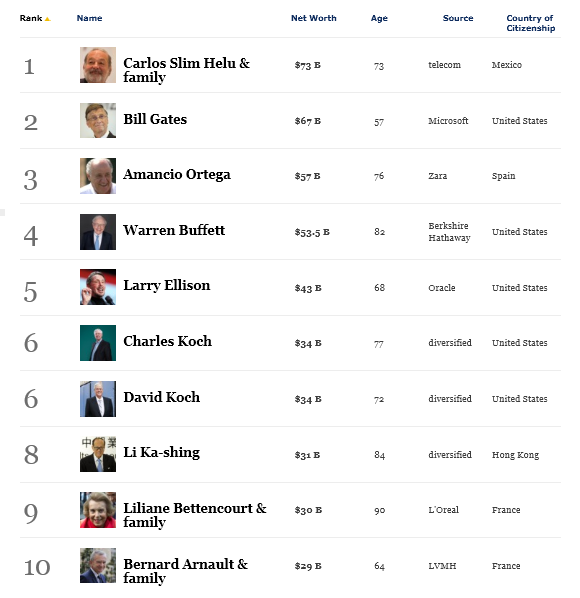 Among the many billionaires listed by Forbes magazine recently we have two Malaysians in the top ten. Tables: Net worth calculated March 2013. 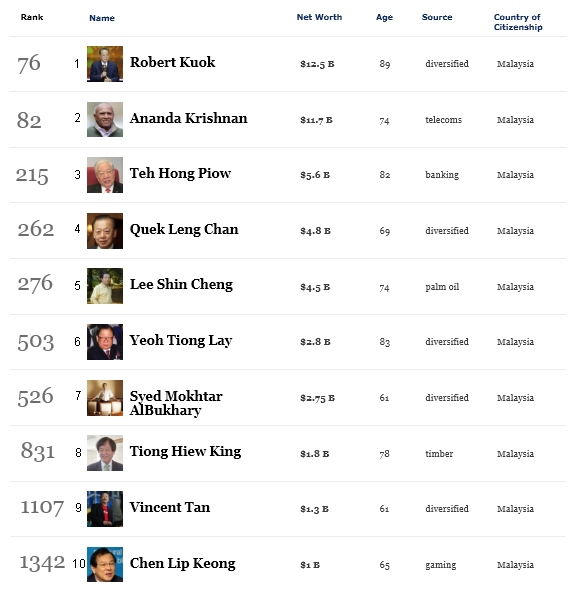 According to Forbes rich list, Robert Kuok remains Malaysia's richest person with a fortune of US$12.5 billion (RM39 billion). His holdings include the Shangri-La Hotels, Kerry Properties and the South China Morning Post, Hong Kong's leading English-language newspaper. They are blessed with wealth. Yg penting mereka masih berpijak dibumi nyata.